SUITE 2 • Ground floor suite with king sized bed facing onto Main Street with a wonderful front veranda a small sunroom and a living room filled with light. The bathroom features a kitchenette and a Jacuzzi bath with shower. There are three stairs to the suite. The Queen’s Hotel burned down in 1947. The unique qualities of a community are often the result of the vision and determination of its earliest settlers. The heart and soul of Bayfield’s first 50 years was William Wellington Connor. Connor was one of the first 15 settlers to make their way through the bush to what was then, Canada’s extreme western frontier. He wasn’t given much opportunity to settle, before he was called upon to join the local militia unit. First, in 1837, during the winter, he was stationed at the four corners of what is now Clinton, to act as a deterrent against any possible rebel activity. There was a great deal of discontent against the Canada Company and the “Family Compact” in this area and there were fears that this anger would boil over into rebellion. Soon after the threat of a Canadian rebellion was over, Connor accompanied the area militia group to Sarnia, in anticipation of possible raids from American “Patriot’ groups. When he was finally allowed to settle in Bayfield, Connor was appointed the first political leader of his township and served as Justice of the Peace. He established one of the earliest and largest Orange Lodges in Ontario and his lectures on proper social behavior reverberate today. Many of the descendants of early Lodge members still live in the area and have heard the same messages passed down through the years. In 1866, when Canada was threatened by American Fenians and Bayfield was a potential target for a raid, Connor led the village Militia. Fittingly, in 1876, when Bayfield became a village, W.W. Connor was elected first Reeve. 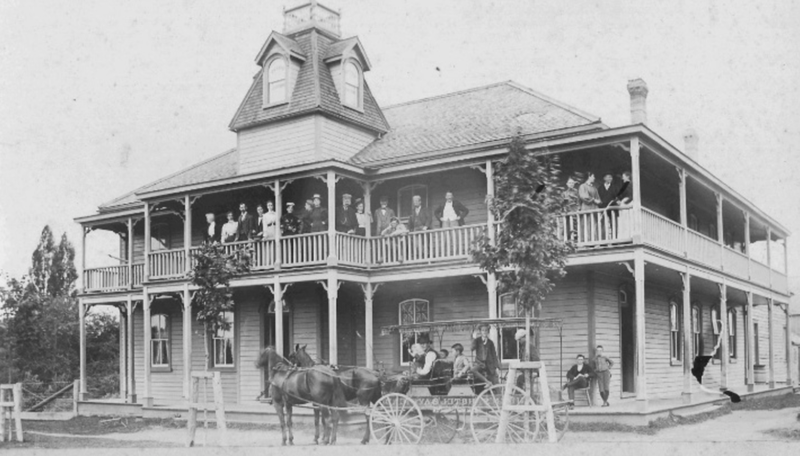 Connor built the most elegant summertime hotel in Bayfield, the Queen’s. Many guests enjoyed the village so much that they built summer residences and helped create a thriving summer economy.